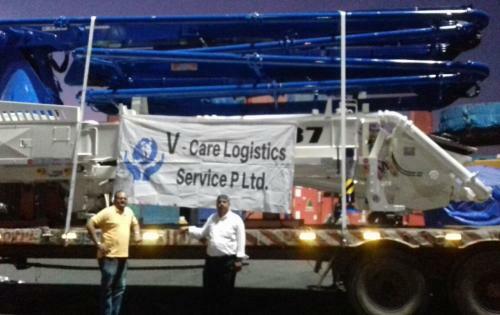 V-Care Logistics Services in India and have recently handled the over-dimensional import of concrete pumps including customs clearance and on-time delivery to the customers site with the proper safety measures. 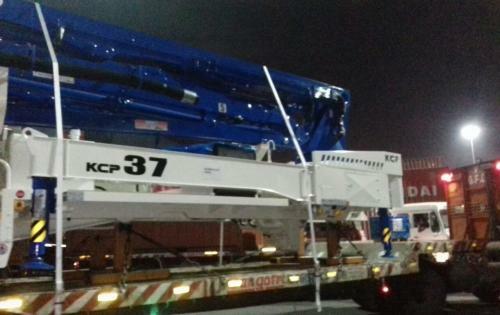 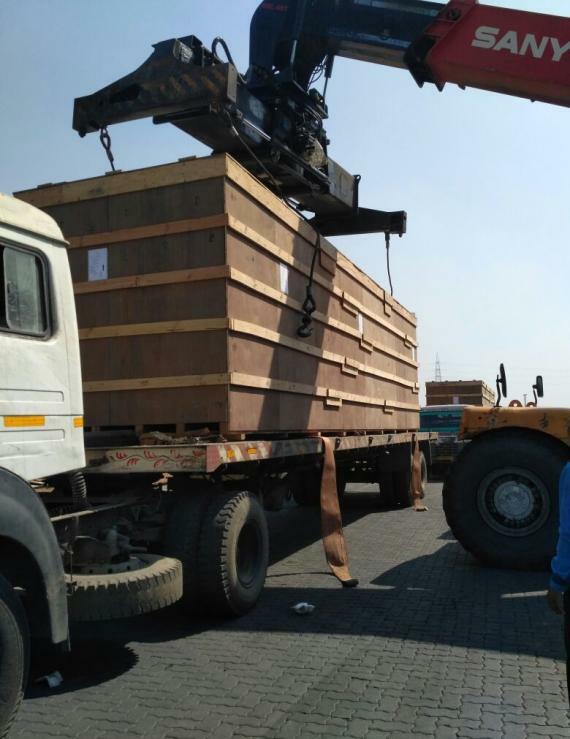 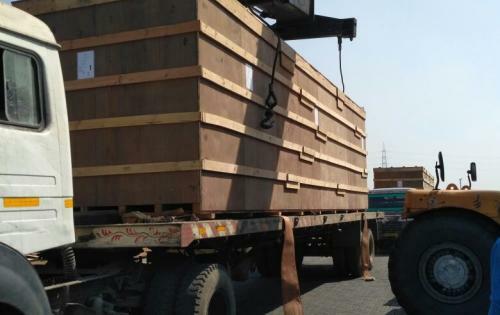 The concrete pumps were shipped from South Korea to Nhava Sheva in India along with other over-dimensional accessories packed in heavy wooden boxes for the customer. 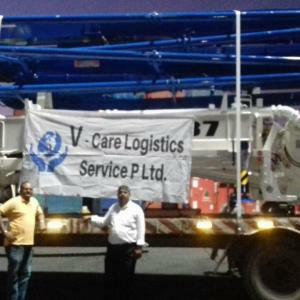 Mahesh V. Neelakantan (Director at V-Care) comments; "Upon landing, we had all documentation ready to clear the cargo through customs in fast-track mode. 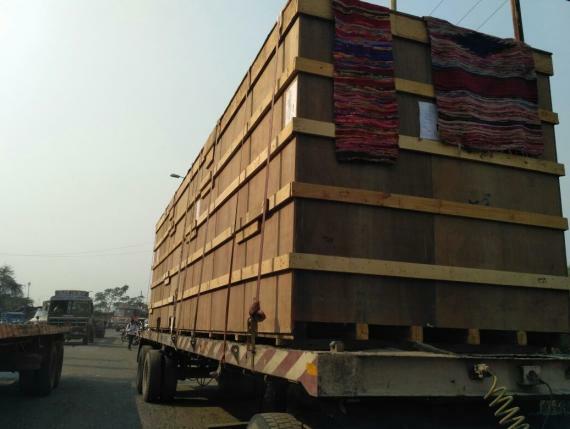 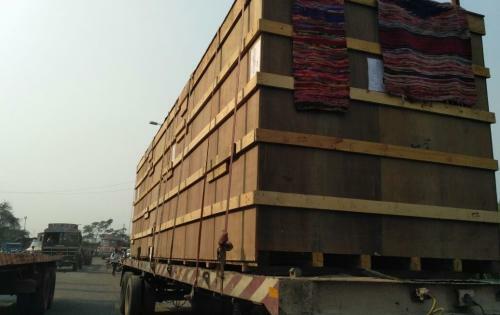 As a precautionary measure, we conducted a road survey and found there were some bridges and tunnels which meant we could not use a normal trailer so we selected low-beds for the transportation." 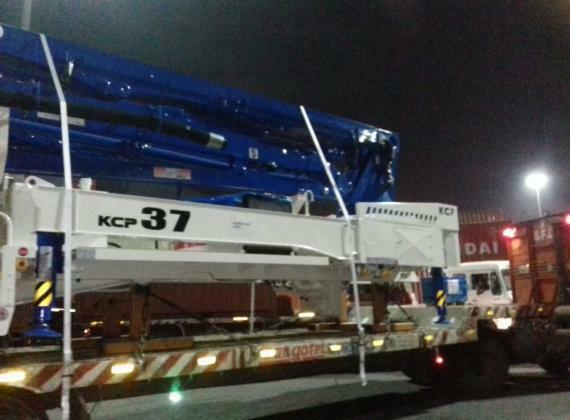 Efficient planning resulted in a perfect and on-time delivery to the consignee's premises to their satisfaction. 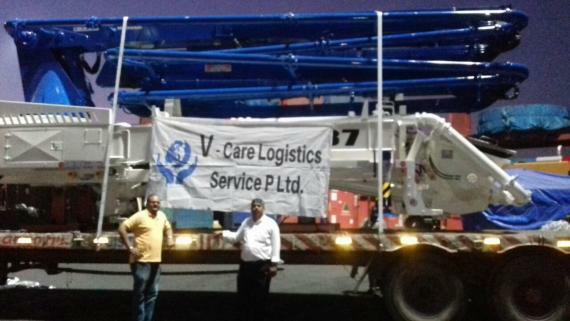 Kudos to the V-Care operation team for a great performance!